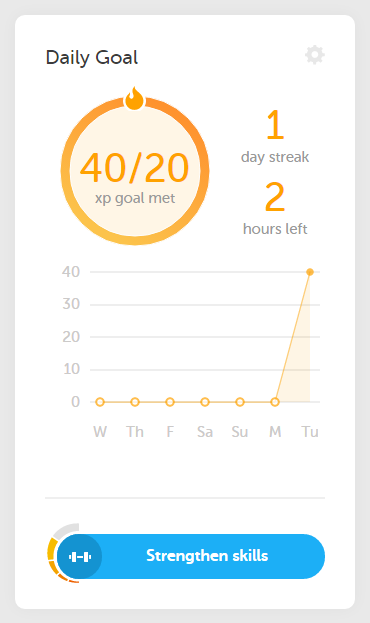 In keeping with my Learning Plan 0.1, I tucked back into Duolingo today, and…eesh. Picking up after an absence of a couple months is a bit of a shock. The good news is that starting from the very first lessons is easy enough…every time I have had to do it. 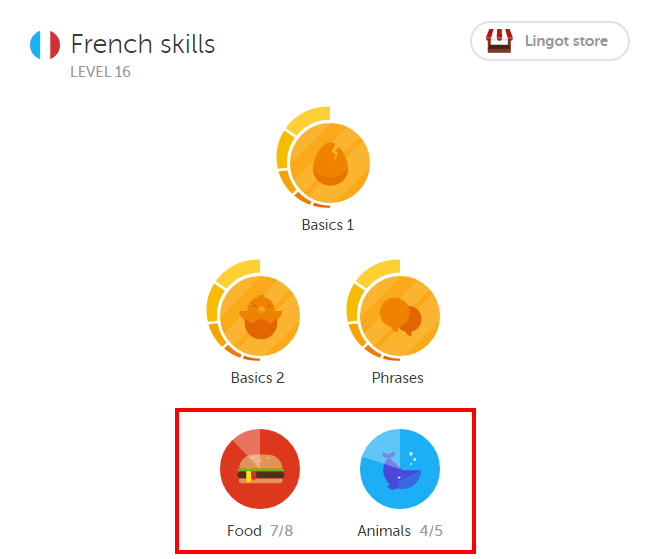 Seems like Duolingo has also instituted a small but welcome change — skills that have weakened through neglect can now be tested out of rather than laboriously re-strengthened, with lingots as the reward. Today, then, I celebrate my one-day streak; a little Memrise and some Codecademy will have me fully on track. Two tests for tomorrow’s study.